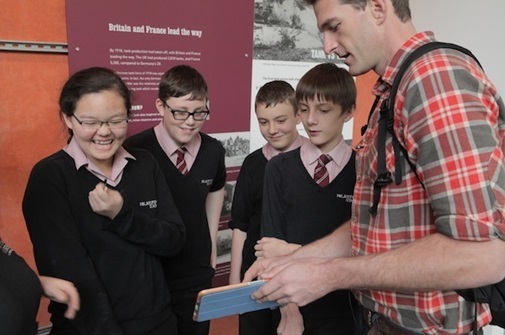 Guest Blogger Dan Snow: Tells us more…………. It’s great to be joining War History Online as a blogger – War History Online are a social media phenomenon! They have realised the massive appetite that exists out there for stories, pictures and videos that shed light on the wars that have shaped our world. I have spent this year traveling around the world in the footsteps of captain cook in New Zealand, the U.S. Civil War battlefield of Franklin for the 150th anniversary and of course the First World War battlefields for the centenary of the outbreak. Next year looks just as busy. It’s a monster year for anniversaries. Agincourt, Waterloo, Gallipoli, the Battle of Britain and many others. I will be visiting them all and will keep you in the loop with stories and pictures. 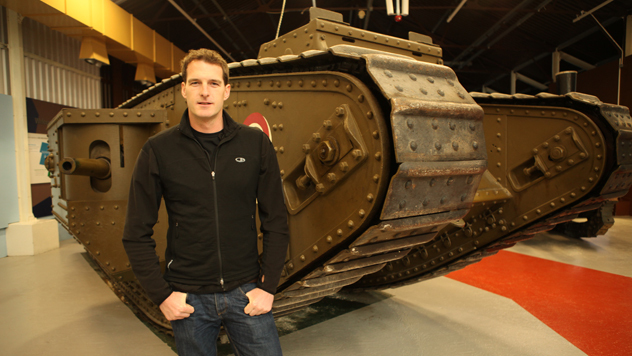 As well as my TV work I will be making regular films which you can see here on War History Online. This will mark the anniversaries and give a sense of what happened and why they still matter. 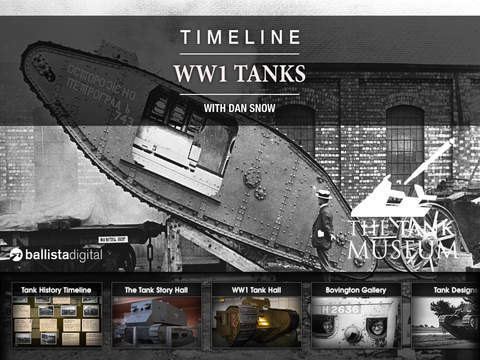 This week I have been to the brilliant Tank Museum in Dorset, UK, home to the world’s best collection of armoured vehicles, to launch their innovative new iPad app – Timeline WW1 Tanks. 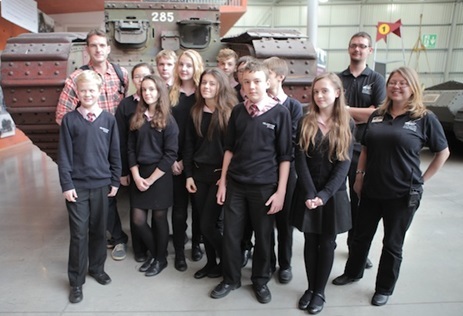 I had the opportunity to talk to an enthusiastic group of school history students about the role of tanks in the defeat of Germany in WW1 before they took the app out around the museum. 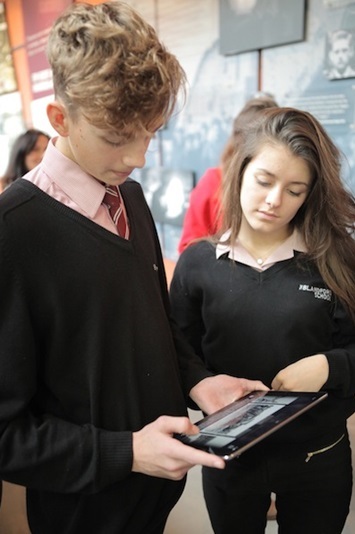 It was great to see them using the app right next to the tank exhibits – watching films of the tanks in action and interviews with the Tank Museum’s expert historians. Over the next few weeks I’ll be producing stuff on the famous WW1 Christmas Truce and en it’s off to California to focus on some US history. Watch this space! As a taster for future video content you’ll find on my blog, here’s a short video I made together with Pathe News Archive about the causes of the First World War – in under 2 mins! And a second video about the fateful shooting of the Archduke Ferdinand in Sarejevo. And you can also follow Dan on Facebook and Twitter!